We've been working on an exciting new project and can't wait to show you!! Myself and Ella Nelson (best friend/200m Olympian/all round great gal) are today announcing the launch of the Shooting Stars Academy. We've created a 2-day training camp which is all about inspiring the next generation of female runners to aim for the stars, and providing the tools for them to achieve their dreams! 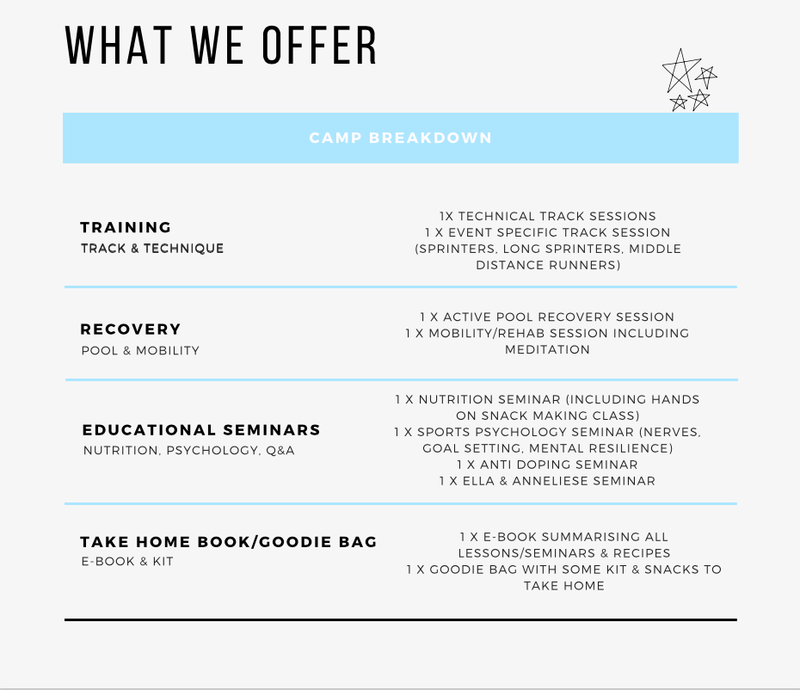 "We hope to inspire the next generation of female runners to be the best version of themselves on, and off the track"
What is Included: One nights accommodation at Sydney Academy, all meals & snacks, a take home goodie bag, and camp activities (see below). We want to help up & coming female athletes achieve their dreams. By sharing our experiences, knowledge and some handy tips we've learnt whilst competing around the world, we hope to inspire the next generation of female runners to be the best version of themselves on, and off the track. Our goal for these camps is for the athletes to gain an in depth understanding of how to best optimise their abilities through training, recovery, nutrition, and psychology. We've also learnt that being a professional athlete involves more than just running, so we want to educate our campers on public speaking, leadership skills, and introduce concepts of personal branding via social media. STAY TUNED FOR SIGN UP INFORMATION, MORE DETAILS, AND THE OPPORTUNITY TO WIN A PLACE AT THE SHOOTING STARS ACADEMY!